Hi friends! I hope you are all well. We are doing ok around here. Life with three kids is so much harder than I thought and it's just taking a lot of time to adjust. I haven't had much time to craft. I actually haven't had that much time to myself period. But I'm trying to savor the moment since this baby phase goes by in the blink of an eye. Today, I'm sharing a card I have published in the May/June 2013 issue of Paper Crafts Magazine. Sadly, this was from the last month I submitted before I had Avery so I don't have much to share after this. I really really love this card though. 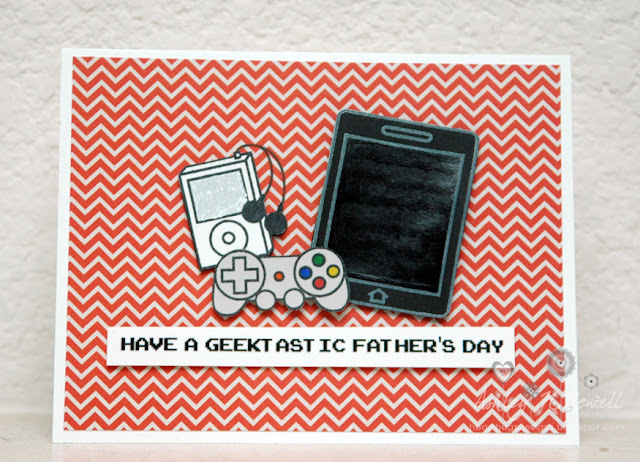 It's inspired completely by Dustin and this is totally a card I would make and actually give to my husband. While I usually love my published cards, I can't really say that they all have someone in my life that I actually had in mind when I made them. 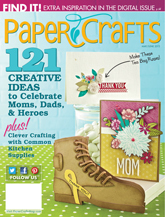 For a supply list and instructions on how I made this card, please purchase the Paper Crafts May/June 2013 issue. I've posted the cover here. This issue is packed full of fabulous inspiration! This is so cute! Congrats on the pub!